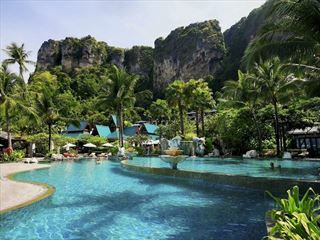 Located on the idyllic island of Krabi, a short flight from Bangkok, lies the Twin Lotus Resort. 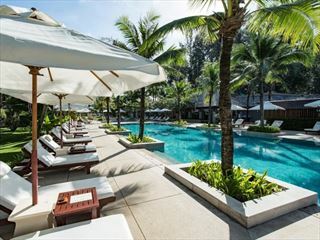 This is a great place to unwind, dip in the warm Andaman Sea during the day and dine on fine Thai Cuisine by night. All beautifully appointed with a good choice of rooms, from the lovely Superior Rooms to the spacious Suites and 2 bed Private Pool Villas. Whatever your budget and your choice all rooms are traditional in their Thai craft and build with wooden floors and garden or ocean views. 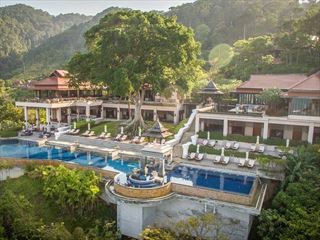 Krabi and its surrounds offers a bundle of activities, including Elephant trekking, diving, island hopping as well as plenty of places to eat and drink should you wish. 3km of beach is heavenly. Gorgeous Food with a variety of cusines served, form International to Thai. There is something for everyone.